The Minnewaukan Suicide Prevention Team toured the Lake Region Community Shelter for homeless and gave donations. It was brought to the team’s attention that the shelter could use activities for kids and hygiene supplies. 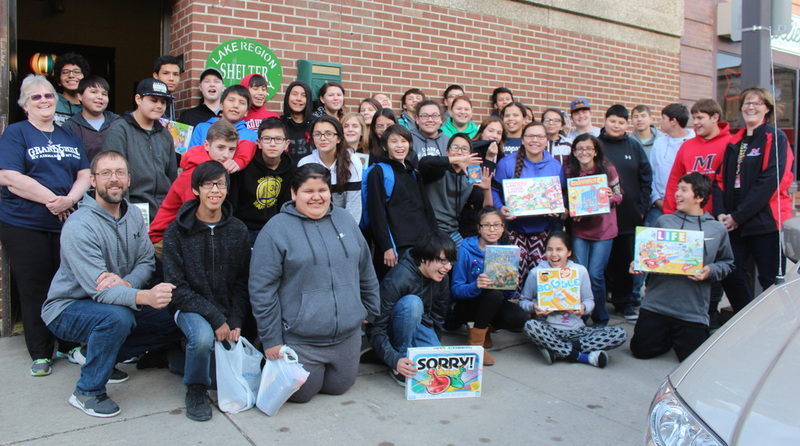 The team collected and purchased games, color books, crayons, shampoo, deodorant, tooth brushes etc. and delivered them on December 1. Karen Nick, who runs the shelter, gave 41 team members and two staff some education on the myths and facts about homelessness from the Bridges Out of Poverty materials that the shelter has been promoting to anyone who wants to learn more about life in poverty. The Shelter serves the entire Lake Region Community and could use volunteers or donations.